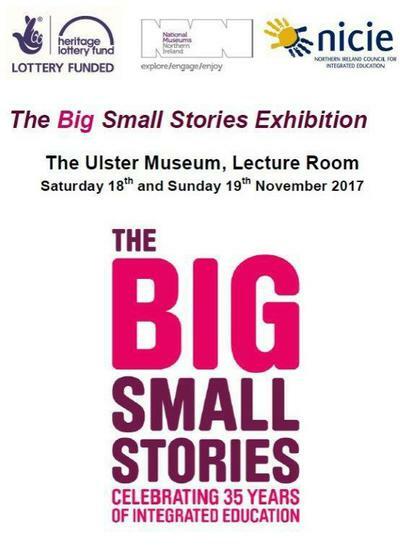 You are invited on a journey of the history and hertiage of Integrated Schools in Northern Ireland through visual displays, drama, music and other school performances at the Ulster Museum on Saturday 18th November 10.30-4pm. Sunday 19th Novemeber 2017 11-2pm. This is a family event open to the general public. During the weekend more than 20 integrated schools are bringing interesting performances, debates, music and more to commemorate the 35 years of integrated education . our school banner will be displayed along with 64 school banners about our history and legacy.